At Acme Hat Company, we strive to be the best custom hat manufacturer where you can access different types of headwear. Our custom hat company makes it easy for you to access the best headwear, quickly. Think of any headwear and we can custom make your hats to your specific needs. We are ready to take help you design your own custom hats. Customer satisfaction matters a lot to us. We ensure each private label cap is delivered to specification. When you’re ready to order custom embroidered hats, our ordering system is divided into four easy steps. 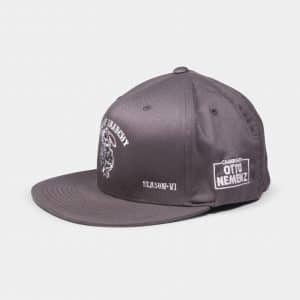 that you can ensure that your customized headwear is perfect. Approve your custom headwear and pay. It does not matter the number of custom caps that you would need, we’ll take care of you. We are your customizable hat manufacturer who can deliver in bulk. Stop waiting forever on other custom hat companies. We respond fast and deliver your private label hats equally fast. Our custom hat manufacturing company allows you to customize your own hat with the design and cap style of your choice. Order from us and you will see that our team of custom hat manufacturers appreciate your time and money. Our customizable USA made hats are made out of reliable wool and we work to ensure that every order is perfect.